Online shopping is indeed one of the most convenient means of shopping nowadays. However, it exposes us to certain risks like encountering bogus sellers and fake products. Due to such, it is important that we transact only with reliable online shops. Especially when it comes to beauty and skin care products, it is important to find a shop that provides authentic and effective items. It is also equally important to avail of the said products at such an affordable price. Luckily, there are shops like Magic Potions that offers us genuine and budget-friendly products. I have first encountered Magic Potions several years ago when I was searching for glutathione products. Back then, there were only few shops that sell authentic glutathione pills as compared to the number of shops that offers them now. Right now, there are tons of other online shops that offer these products, some at a much cheaper price. But when we come to think of it, it is not wise to risk by purchasing products from a shop whose reliability is not yet proven. That is why I recommend Magic Potions. Magic Potions is one of the pioneers in selling affordable glutathione in the Philippine market and worldwide and has been in the business for 11 years now - a proof of how reliable this shop is. Magic Potions is indeed a one-stop beauty shop. 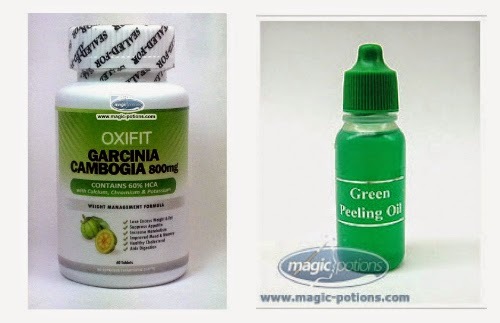 Aside from glutathione products, they now offer weight loss products such as the currently popular Garcinia Cambogia. They also carry other skin care and wellness products in their shop. One of my favorite products is the peeling oil. I've seen how effective this product is, especially when the instructions are carefully and properly followed. Ordering from Magic Potions is really convenient. Just go to their website: magic-potions.com and place your order. Paying for your orders can be safely made through their website. 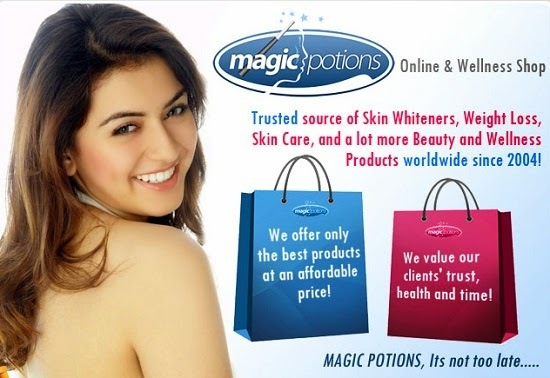 Magic Potions is a corporation established and based here in the Philippines yet they cater to anyone here and abroad. They ship fast and discreetly to anywhere around the world. If you prefer to check out the products personally before purchasing though, they currently have retail stores in Makati, Ortigas, Manila, and Alabang.